Shifting from one place to another calls for a heavy hectic job. You will be so engrossed in packing that you will be frustrated at one point of time. If you can deal with it systematically, shifting won’t seem that hectic after all. Remember that it’s not what you pack, but how you pack it is all that matters. 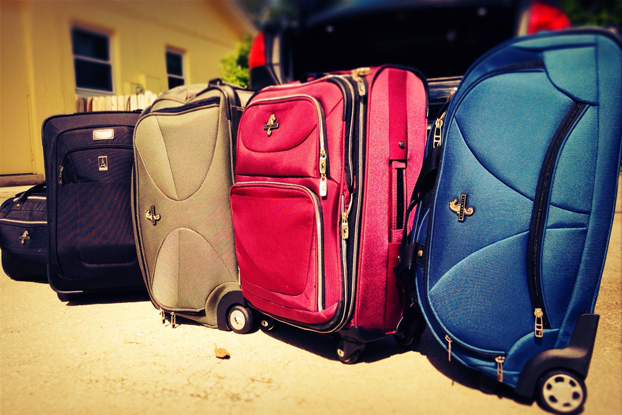 Below are the top 10 tips to help you learn how to pack smartly and efficiently. You must be packing an overnight bag with all your essentials like medication, underwear, hygiene items, and a change of clothes. It is good! But what about the things you’ll need as soon as you open the door to your new home? Like a box cutter, paper towels, tools, toilet paper, etc. These are essentials too. Pack them in a clear tote instead of a cardboard box so that you will be able to figure it out without having to open everything. It is literally confusing and nothing can be more furious than packing toiletries in a box, moving, opening your box. You will be left with a sticky, useless mess. Therefore, take the caps off of all your toiletries, cover the openings with plastic wrap, and put the caps back on. With Smartphone everything made easier today. Take pictures of the backs of your electronics while they are still plugged in so that you do not confuse yourself in your new home. Click whatever you find will be important to you in the new house. You’re not going to remember how you had your kitchen cupboards organized. Why not take a shot? Saran wrap comes very handy while packing clothes. What you can do is, open your closet and slide all of your hanging clothes toward the center. Leave the hangers free and wrap your clothes with saran wrap as tightly as you can. Then, hang your clothes in your new closet and cut the wrap. Simple and easy! Buy plenty of Press’n Seal. You can easily take a drawer out of your dresser, leave its contents inside, and cover it with Press’n Seal. Do the same for the drawers in your kitchen, bathroom, and every bedroom in your home to make their very own packing boxes. It saves spaces as well. Now this is interesting. Instead of just writing on your boxes, stick a piece of colored or patterned duct tape on them. Use the same color or pattern for each separate room in your new home then put a piece of tape on each side of your boxes. This way your tape will look easier and convenient. If you always wanted to buy space bags but never got the time, this is the best time for you. You can use these bags for clothes and blankets you won’t use right away. These bags do not take much space thereby making it easier to pack your out-of-season clothing. There must be certain things in your house that you haven’t used it say in the last six months. DO not think twice. Just get rid of it. Donate it, sell it or give it to your friends. Remember that the less you have, the less you will need to pack. I am sure you must have a suitcase or two, a few duffel bags, and some baskets lying around the house. Use these to feed in stuffs. This way you will be able to cut down on the number of boxes you have to buy. Do not let your pets roam freely in the car, Buy the appropriate carriers, crates or even a seatbelt will do. Pack a cooler of bottled water, a leash and a collar because you will have to halt a couple of times to let your furry friend use the bathroom. Get your pet micro chipped before the move so that it does not get lost in case.